Is An Inverted Yield A Harbinger Of Bad News? The Treasury yield curve inverted for the first time since the last recession. An inverted yield curve likely portends a recession is on the horizon. Falling RV shipments could also predict recession. There could be pain ahead for stocks and cyclical names, in particular. Some argue the inverted yield curve is not predicting anything; yields could be distorted due to trillions in bond-buying by the Federal Reserve over the past decade. At the end of the day, one of the longest economic expansions on record could eventually come to an end. 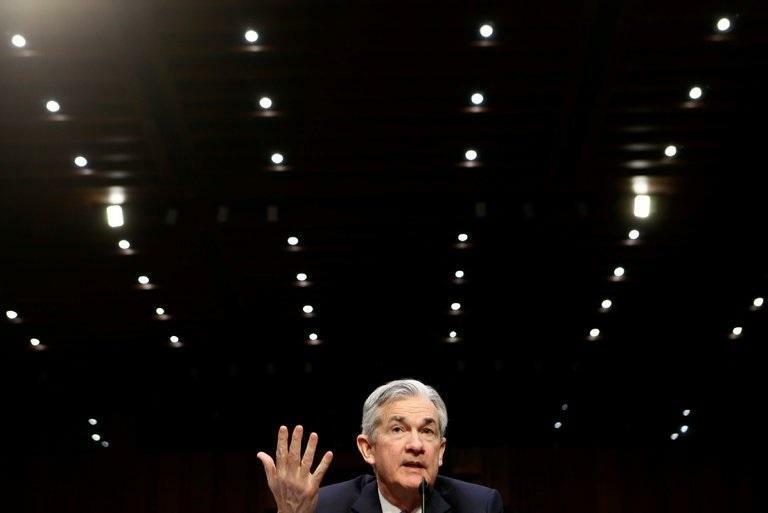 Federal Reserve Chairman Jerome Powell had been hiking short-term rates to beat back inflation; a measure of inflation could be wage growth or growth in personal consumption expenditures ("PCE") at or above the Fed's 2 percent target. I suspected the Fed was also attempting to burst bubbles in stocks and real estate. The fact that investors are willing to bid up prices for 10-year Treasuries and drive the yield to a 14-month low suggest they do not expect rising prices to eat into their fixed income stream. This could be bearish signal for future economic growth. The following chart illustrates 10-year Treasury yields minus 3-month Treasury yields historically. The shaded areas of the chart reflect when the U.S. economy went into recession. Prior to the last three recessions, the yields on long-term bonds minus the yields on short-term bonds were negative or "inverted." Several economists failed to warn on the Financial Crisis of 2008. They are actively looking for signs of a slowing economy; an inverted yield curve has proven pretty accurate. It could force politicians and the Fed to change their tone on how strong the economy is truly is. There are other signs the U.S. economy is not on solid footing. Despite the low unemployment rate, the number of working age people not in the labor force exceeds 95 million. This is much higher than the approximately 80 million people no longer in the labor force in February 2009, just after the Financial Crisis began; it could be considered a national crisis. A decline in RV shipments could also be harbinger of bad news. A decline in annual RV shipments has preceded the prior two recessions. 2018 RV shipments declined 4 percent Y/Y. Through year-to-date February 2019, shipments were about 62,000, down 28% Y/Y. Consumers could cut these discretionary items first when they are less optimistic about the future. Declines in discretionary spending could metastasize to other sectors like autos or luxury goods. Such an event would not bode well for long-term economic growth. An inverted yield curve is usually a harbinger of recession. A decline in RV shipments appears to support that thesis. There could pain ahead for broader markets and cyclical names, in particular.